Notes: This is a group of small Laguna agate nodules from Mexico. The combined weight is 2 pounds and 1.0 ounces. While results with rough agate will vary widely, these offer good possibilities for jewelry or small specimens. Notes: This is a group of small Laguna agate nodules from Mexico. The combined weight is 2 pounds and 1.6 ounces. While results with rough agate will vary widely, these offer good possibilities for jewelry or small specimens. Notes: This is a group of small Laguna agate nodules from Mexico. The combined weight is 2 pounds and 1.2 ounces. 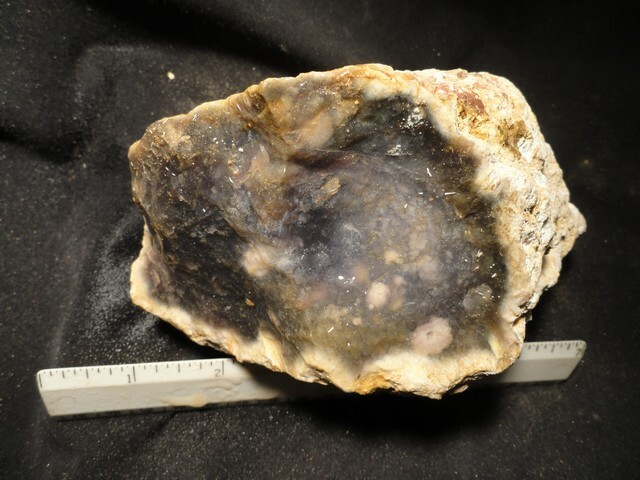 While results with rough agate will vary widely, these offer good possibilities for jewelry or small specimens. Notes: This is a group of small Laguna agate nodules from Mexico. The combined weight is 2 pounds and 0.6 ounces. While results with rough agate will vary widely, these offer good possibilities for jewelry or small specimens. 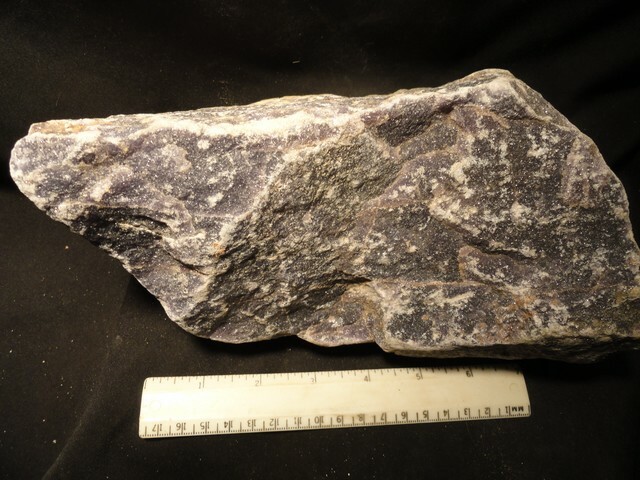 Notes: This is a piece of purple lepidolite from South Africa. It has great color but is very soft. It weighs 9 pounds and 9.8 ounces. Notes: This is a piece of purple chalcedony from Indonesia. It weighs 3 pounds and 3.8 ounces and is pictured wet front and the back. 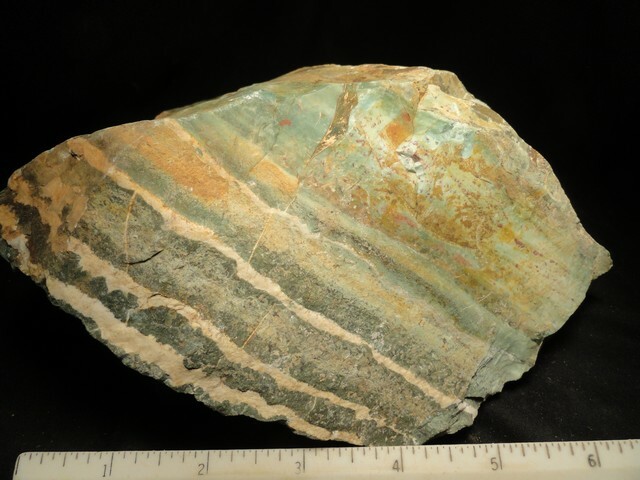 Notes: Here is a fine piece of green Zebra jasper from India. It weighs 5 pounds and 7.8 ounces. 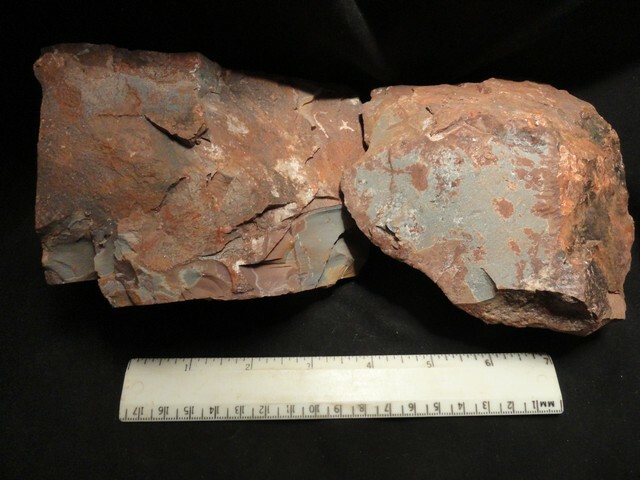 Notes: Here are 2 pieces of Sonoran Dendritic from Mexico. 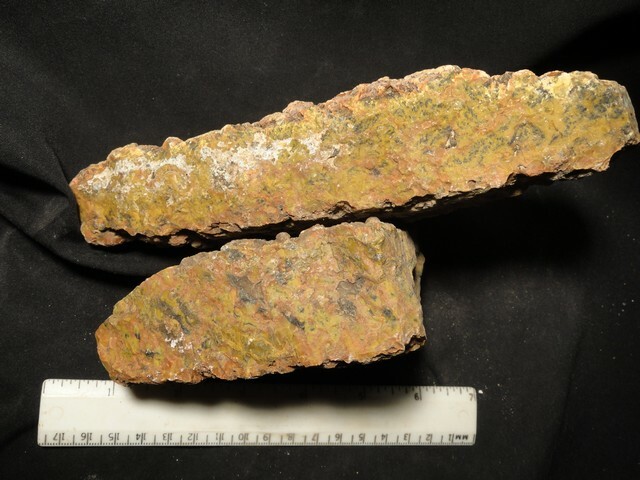 Notes: This is a rough blocky piece of green goldstone which is a man made material. It makes very flashy cabochons. It weighs 5 pounds and 6.2 ounces. Notes: Here are a rough pair of Tiger jasper from Mexico. The material has yellow and orange jasper with a nice black hematite. It takes a fine polish. The total weight is 4 pounds and 7.8 ounces. Notes: Here are a pair of bloodstone pieces from India with very nice color and pattern. The combined weight is 5 pounds and 2.4 ounces. Notes: Here is a pair of Brazilian agate nodules weighing a combine 6 pounds and 10.6 ounces. The results can vary greatly but these have good potential. Notes: Here are a rough pair of Namibia blue agate. The color is amazing. The total weight is 1 pound and 8.6 ounces. 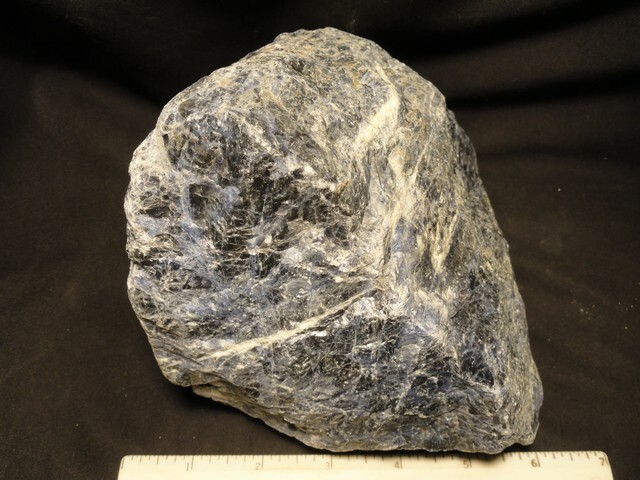 Dimensions: 7" x 5" x 3 1/2"
Notes: Here is a nice larger piece of sodalite with good contrast. The piece weighs 5 pounds and 12.4 ounces. Notes: This is a group of purple chalcedony nodules from Indonesia. They weigh a combined 2 pounds and 7.6 ounces and are pictured wet and dry.